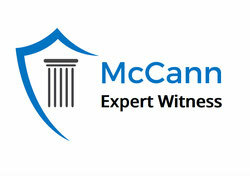 Recognized by the United States District Court for the Eastern District of Pennsylvania and the Northern District of Georgia as an expert in law enforcement policy, procedure and training issues, Harry McCann has provided either expert testimony or reports to clients in the states of Pennsylvania, New Jersey, Maine, Georgia, Maryland, Indiana and Delaware. He has continually demonstrated his ability to evaluate the issues and present himself in a clear, concise, thorough and professional manner. His preparation has been acknowledged among his peers and has been honed by 35 years of college teaching and staff development instruction.